Moving from the big city of San Antonio, Texas to small town Aura is tough, but especially on 11 year old twins Cassie and Caitlin Waters. And while everyone thinks twins are the same, that’s not the case with Cassie and Caitlin. Caitlin always sees the positive side of things while Cassie is somewhat negative. Cassie gravitates towards the ‘cool’ kids while Caitlin is more nerdy. Things are even harder when you start out on the wrong foot, as it did with Caitlin. Chasing after her sister, she meets three kids selling pie as a fund raising project for their school. Liam is kind of dorky but OK. Megan and Lavender are part of the cool clique. But when Caitlin touches Megan, her world gets distorted. She sees a vision in which the real Megan is blurry and in the background while a new Megan is crystal clear and yelling. Once they part, all is normal but in those togetherness seconds, Caitlin appeared totally out of it. She’s immediately branded a nerd and, by association, her sister as well. So, the first day of school is particularly tough, especially for Cassie. The problem is both sisters have been getting these visions for a while and hasn’t told the other. The more visions Caitlin gets, the clearer they are. However, neither girl knows what they mean. 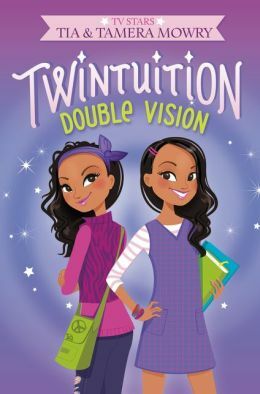 And this is the story of Twintuition: Double Vision, put forth by TV personalities Tia and Tamera Mowry. Twintuition is a fun read geared for the higher end of the 8-12 year girl old range. It’s got clothes and boys and make-up and school issues and cliques. It touches on mother-daughter relationships, sister-sister relationships. Chapters alternate between Cassie and Caitlin as narrators as they try to muddle through the visions while trying to overcome their ‘nerd’ label. 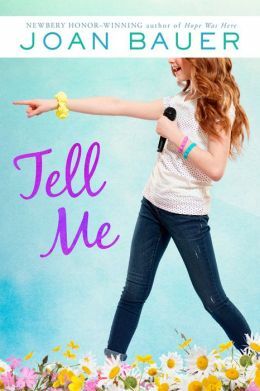 If you’re looking for a light-hearted romp through sixth grade, my intuition says Twintuition. Ahoy mateys!!!! Guess what today is!!! The release date of the Terror of the Soutlands. 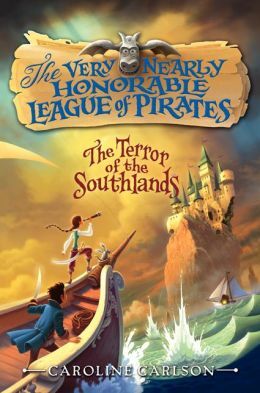 If yer not reading the Terror of the Southlands, then yer gonna get thrown out of the Very Nearly Honorable League of Pirates. This is yer first warnin’. Hilary Westfield, the Terror of the Southlands herself, hasn’t raised her sword for months and if she doesn’t do something daring like slay a sea monster or defeat a rebel pirate, she is in danger of being tossed from the VNHLP. But when she hears that Eugenie Pimm, the Enchantress has disappeared, she decides to find her, because a pirate must always help a mate. Along with her first mate, Pirate Charlie Dove and her faithful gargoyle, she makes her way to Miss Pimm’s Finishing School for Delicate Ladies, to find Miss Pimm gone. But she meets up with her old friend, Claire, who wants to help find the Enchantress and go on an adventure. So off they go, on a rousing sea-faring adventure, the likes of which should put Captain Blacktooth, the very president of this here VNHLP right about The Terror. But, nay, ’cause he’s against this adventure and skullduggery. But The Terror won’t be bullied because a pirate must NOT forget to be fearsome. Thar’s cannonball blasts and sword fights and rope tying and rescuing in this yarn. Thar’s pirating and disguising and magic. Thar’s grog drinkin’ and mast climbing and skullduggery galore. So, if’n yar goin’ to be a right proper pirate, then it’s the Terror of the Southlands that should be on the night stand in yer cabin. Don’t make me give you a second warnin’. Us pirate types are short on patience and my sword hand is itchin’. Whoever thought I’d really like a Mike Lupica book, but I totally liked Fantasy League. Twelve-year-old Charlie Gaines, nicknamed the “Brain”, knows everything about football. He watches the games, studies the stats and somehow sees things that others miss: how teams line up for certain plays, how the stats highlight some unique talent a player has. He’s also a master at Fantasy Football, using all the information he’s garnered. His best friend Anna’s grandfather, Joe Warren, owns the L.A. Bulldogs, an expansion team with a history of losing. Her uncle Matt is the team’s general manager and is getting flack from the media because of the team’s lackluster performance. Anna knows almost as much about football as Charlie and they love watching games and talking football, especially how they would turn the Bulldogs around. When Anna suggests that Charlie do weekly football podcasts, he thinks she’s lost her mind but goes along with it. Charlie’s coach in his Pop Warner league hosts an ESPN radio show and decides to broadcast a portion of Charlie’s show, giving him minor celebrity status. At Anna’s urging Charlie suggests to Joe Warren that he draft an older quarterback who will probably be dropped by his current team. He is astonished when Warren takes this advice. Word gets out that Warren is taking suggestions from a twelve-year-old and both Charlie and Warren take considerable grief from the media. When Warren acts a second time on Charlie’s advice, the media has a field day. Will these choices prove positive for the Bulldogs? Throughout this, Charlie is also player/assistant coach in a Pop Warner league, not confident that he is talented enough to contribute to the team’s performance. Fantasy League by Mike Lupica is the feel good book of the year. Charlie and Anna are truly best friends. It is heartwarming to see a friendship develop between septuagenarian Warren and Charlie, whose father left when he was young. Mr. Warren becomes friend/father/grandfather rolled into one. Lupica touches on family, illness, self-confidence and more in an easy reading, enjoyable way. 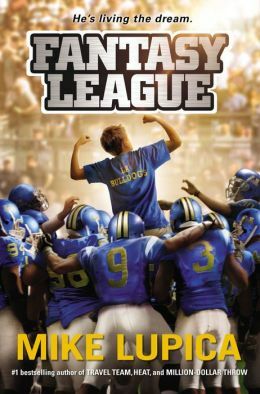 While the plot is predictable, the action and characters make Fantasy League a fun read. Primarily geared to boys, female sports fans might enjoy this as well.